Mother Nature needs a box of wine! The record setting cold means a big scramble to plan care for our animals. We started feeding them alfalfa hay and extra grain a few weeks ago. They have bedding in the barn up to their little knees; tank heaters in the water and buttoning up the barn to keep cold air out. This weather is specially hard on older animals. 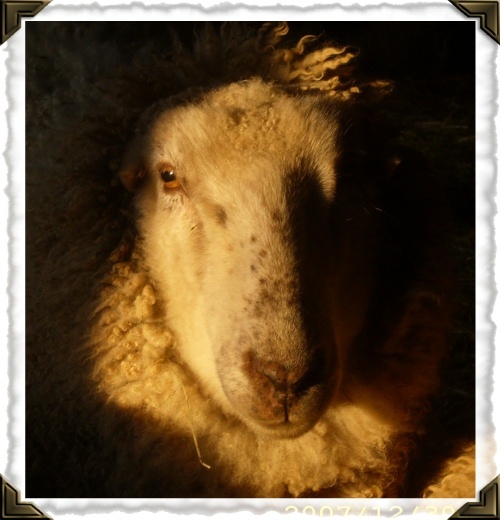 We lost our Cosmo and Theo sheep to pneumonia. I’m so sad about them. They tried but they were 17 years old. It was time for them to head to warmer pastures in the sky. Sigh. So far no more casualties. A majority of our flock is over the age of 8 so I guess we have quite an elderly flock again. And we only have 35 sheep? THAT feels weird too. But that’s a story for another day. Jim and I keep a close watch on everyone outside. We take turns checking on them. We would be no use to ANYone if we managed to get frostbite. The coldest it got here included -50 degrees with the wind chill factored in. Today (1/31) we have a heat wave going on! It is currently only -9. The weather guessers say it will be 30-ish by Sunday. Accompanied by freezing rain. Argh. The sheep will love it though. Between thawing of snow and freezing rain, this farm will be a right proper ice rink. I know they have their little skates hanging up in the barn for just such an occasion! This is one of our CVM/Romedale sheep Berti! She has managed to avoid the camera for a long time. Gotcha!